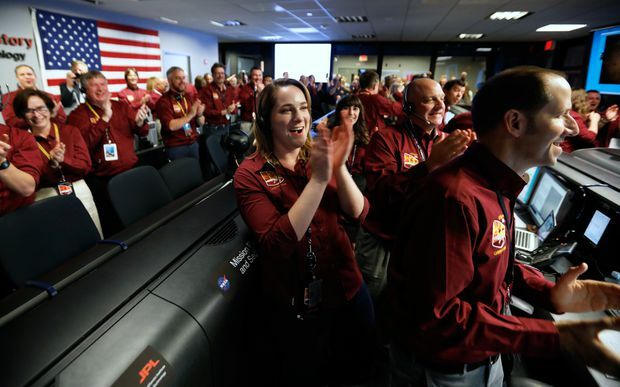 NASA engineers react after the successful landing by the InSight spacecraft on the planet Mars from the Mission Support area in the Space Flight Operations facility at the NASA Jet Propulsion Laboratory (JPL) in Pasadena, California on November 26, 2018. NASA’s Mars InSight probe has landed at what appears to be a beautifully boring location – a fortunate outcome that should expedite the mission’s primary aim of exploring the planet’s interior with seismic and other sensors, scientists said on Monday. The 358-kilogram probe touched down at about 3 p.m. ET, making it the eighth spacecraft that engineers at the Jet Propulsion Laboratory in California have successfully placed on the dusty, rust-coloured world. Later in the evening, the mission team received confirmation that InSight’s two solar arrays had unfolded as planned. The arrays are crucial because they will provide power to the lander throughout its two-year mission. Meanwhile, scientists are eagerly studying an initial photo from InSight, which the probe radioed back immediately after it touched down. The photo offers a blurry view of the probe’s landing site through a dust-speckled protective lens cap that is to be jettisoned later this week. 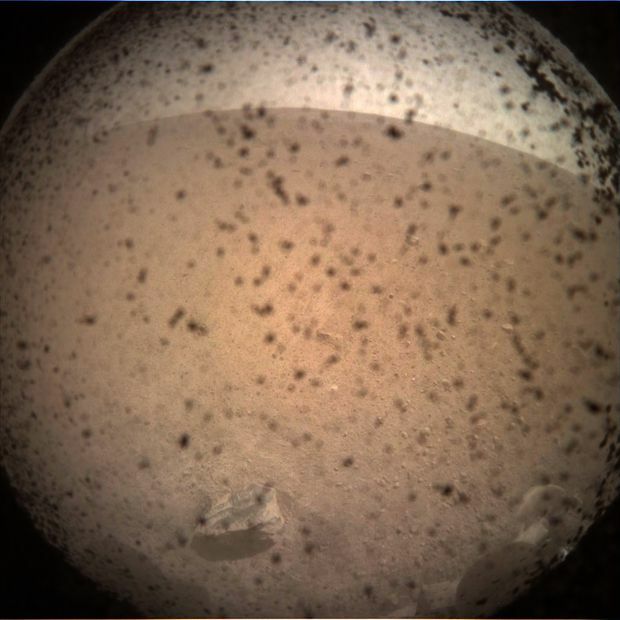 In this image released by NASA/JPL-Caltech on November 26, 2018, debris is seen on the lens in the first image from NASA's InSight lander after it touched down on the surface of Mars. Even with the lens cap on, one rock can be seen in the foreground, with a dune-like arc to one side of it that was likely shaped by wind or perhaps by a blast from the lander’s descent engines. Principal investigator Bruce Banerdt said the feature suggests the surface around the landing site is relatively soft and sandy. This is good news for scientists looking to deploy a mechanical mole that is designed to burrow to a depth of 4.5 metres underneath the lander in order to measure heat flow through the planet. Anna Mittleholz, a PhD student at the University of British Columbia who is participating in the mission, said that it was an amazing feeling to realize that after years of planning, the opportunity to gather data from Mars may now be only a few days away. Ms. Mittleholz watched the landing unfold together with colleagues who gathered in a viewing room as mission controllers tracked InSight’s descent to the surface. “The last few minutes were nerve-wracking,” she said, adding that building tension in the room gave way to celebration as the lander’s first signals from the surface streamed in. If all goes well, she will be working with data from InSight’s magnetometer, which could be switched on as early as Thursday. Scientist are hoping that in the coming months they will be able to use data from the probe’s suite of sensors to paint a picture of the planet’s interior, answering fundamental questions such as the size and nature of the Martian core, and measuring the thickness of its crust. The similarities and differences it sees between Mars and our own planet’s interior may help explain how Earth’s atmosphere, oceans and magnetic field emerged in a way that has allowed life to flourish here. Mars remains a daunting challenge for scientists looking to understand its inner workings. Once deployed on the surface, InSight’s seismometer is meant to detect vibrations smaller than a billionth of a metre and use those to map the interior. The source of the vibrations could be from deep within the planet, or meteorite impacts striking the surface. As the lander descended, its status was communicated back to Earth by two small CubeSats, collectively dubbed MarCO. The miniaturized satellites were launched together with Insight last May and have been travelling alongside it as part of a technology demonstration mission. Their presence meant that scientists were receiving data from the lander on its way to the surface. The CubeSats also relayed the first image, which brought cheers from mission control. 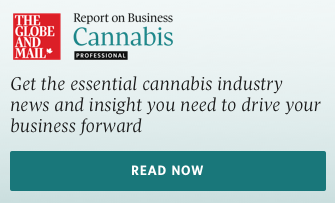 “This never gets old,” said Rob Manning, the lab’s chief engineer, who helped land the Mars Pathfinder mission in 1997, kickstarting a renaissance in NASA’s Mars program that has now carried on into its third decade. He added that the six landing attempts since then – including one that failed in 1999 – have only served to underscore how many things can go wrong when a billion-dollar probe is approaching Mars at thousands of kilometres per hour, and from a distance where the long signal delay time makes it impossible to guide manually.